A smart and unique look at the world of being a top-level chef and all of the competition that goes along with it. A great movie, this film takes us into the world of professional cooking at the most elite restaurant in London. It also gives us a protagonist who has a hell of a back story and is down on his luck, trying to make his way back. The first half of the film is all about getting himself back into the game. The second half is about taking it to the next level. There is plenty of conflict here, all loaded up in unexpected ways. This movie really goes out on a limb with trying to do things differently, especially in the later portions of the story. It features an unconventional climax and some surprises that you never see coming. The romantic angle might feel a little forced, but other than that, it’s a pretty smart and solid film. Burnt is a very cool movie. It’s a film that takes us into a world that most of us know very little about. The world of professional cooking and being a top level chef. Now, just a few years ago, John Favreau directed and starred in a movie called Chef, which was supposed to be about something like this, but instead only focussed on the restaurant business for the start of the film. After that it became about the food truck and Twitter market situation. By the end of the movie, I felt like there had been very little food in the film, other than a few grilled cheese sandwiches. There were nearly no lessons about cooking. Not so with Burnt. This is a movie that is all about the food, the kitchen, and the preparation. It’s a movie that says, if we say we’re going to give you a movie about a chef, you better believe that you’ll walk away feeling like one. 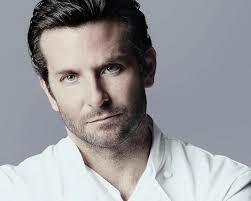 The movie stars Bradley Cooper as Adam Jones, a man who was once a big name in Paris, working as the head chef to the finest restaurant in the city. But then Jones got burned out, couldn’t take the celebrity of it all, and turned to drugs. He left the business, moved to Louisiana, and started shucking oysters and doing heroin. The movie starts with his road to recovery and to getting back into cooking. It opens with him on a bus, heading to the restaurant where he is working, on his last day. Jones has set a goal for himself, to shuck one million oysters, and once he hits it, he decides it’s time to get back into the real world that he left behind. That brings him to London, where he tries to go through his old connections to get a job. Only they don’t want any part of him. The restaurant where he works is owned by a guy named Tony, (played by Daniel Bruhl), who now runs the hotel and restaurant that he inherited from his father. There’s a whole ton of back story here, about what Jones was like before he left the business, and who he knew. This includes both Tony’s father, and also a man named Jean Luc, who he worked for in Paris, and dated the man’s daughter. Both she and Jones still owe money to some very dangerous people from those Paris days. The opening segments of the movie are filled with such great montages and music that it really gets you going at a fast pace. This man puts his life back together one step at a time, and nothing is easy, but he’s smart enough to find the ways of making it happen. So when Bruhl not only rejects Jones’ offer to let him work at the restaurant, but also kicks him out of the hotel, Jones has a plan. He finds the most well-known food critic in London and sets her up to come to the restaurant at a specific time. The restaurant isn’t ready for her. That’s when Jones shows up at the door telling Tony that if he gives him a job, Jones can get into the kitchen and save them, right then and there. That’s how he gets the job at this restaurant. Now comes the recruiting. Jones goes after all of the people he’s interested in, whether it’s from the old days (Michel, played by Omar Sy, or the young guy, David), or new chefs that he comes across, like Helene (Sienna Miller.) With each one of these characters, it takes some manipulation and we learn a little bit about each of their pasts. With Michel, for example, we learn that he was the competition and that Jones once let a bunch of rats into his restaurant and then called the health inspector to come that day. With David, Jones gives him a lesson in confidence, asking the kid if he would work for free, and then changing the question to see if the kid would pay Jones to come and work for him. Getting Helene is the biggest struggle, since she’s very happy where she is and has no interest in leaving. Jones is good friends with her boss, and so he gets her fired, but only with the knowledge that he is about to tripple her salary if she comes and works for him. And so Helene does, as his second in command while in the kitchen. Everything things to be going smoothly, including Jones paying a visit to the competing chef in the Paris, a man who he also once knew in the competitive world of Michelin Stars. This man, Reece, has three stars under his belt. He is not happy to see that Jones has come back into the game, and is now going for his third star, himself. Jones starts meeting with a therapist, at the orders of his boss, Daniel. This therapist, played by Emma Watson, is a close friend of Tony’s, and since he pays for her, she basically tells him everything. The doctor-patient confidentiality situation seems out the window here, but it also works the other way too, with the doctor telling Adam things that Tony has confided in her with, as well. Movies that use a therapist to get deep inside a characters problems tend to be pretty smart, whether it’s Good Will Hunting, Ordinary People, or any other. This film, unfortunately, doesn’t use the therapist nearly enough. Watson is terrific in her brief amount of screen time, but the movie seems to have too much on its agenda and can’t give her any more time than it does. Instead, the film goes out searching for conflict. When not enough people show up to the restaurant and four tables are empty one evening, Jones finds out why. It’s the food. The chefs that he has hired just aren’t cutting it, and he takes the responsibiltiy for thinking that they were up to the task. He has a meltdown in the kitchen, analyzing the problems with each dish. He makes one of the chefs eat something and grabs another one by the collar. This is a character clearly on edge, and Jones insists that he will give everyone who ate their that night their money back, as well as personally write them a letter of apology. Then he decides to go on television shows and announce the new style of the restauarant, including free dinners for the first week to get the word out. There’s plenty more conflict after that. A big honor that these characters are striving for is that Michelin star, and they describe what they know about the Michelin men in detail, analyzing how they can figure out if the men are in the restaurant that night. This gets so in depth that includes the men placing a fork on the floor to see if the staff notices and doing it silently, so as not to make it too easy for them to tell. When it seems like the men are in the restaurant, we get the most unexpected climax of all, including something that goes on in the kitchen. It turns into Jones getting suicidal, and this is where Bradley Cooper really knocks it out of the park. Here’s a guy who has really been honing his craft as an actor, and with every movie we really tries for something new. At the start of this year he had American Sniper and was Oscar nominated. I wouldn’t be surprised if this movie gets the same results. The final portions of the film might involve the Michelin men, but this movie doesn’t overdo it and make a big production over that, like most other films would. It doesn’t even treat them as a climax. We already got our climax, with what happened after he thought they were there, that led Jones to the kitchen of the competing chef with a plastic bag over his head. There is so much to like about this movie, that it is easily one of the best films of the year. In fact, it has so much to do, that it doesn’t have time for the things that might have made it even better. For example, we never really see him in that down and out drug world, not even through flashbacks, and that makes it a little unbelievable that he would have gone that far down the rabbit hole. Also the romance feels a little forced. But despite these things, the movie on the whole works. I love that there is no clear villain and that there is more to the relationship between Jones and the competing chef, Reece, than just a black and white, good vs. evil, connection. This is a smart and powerful film, and it strives at going against the grain and being unique.